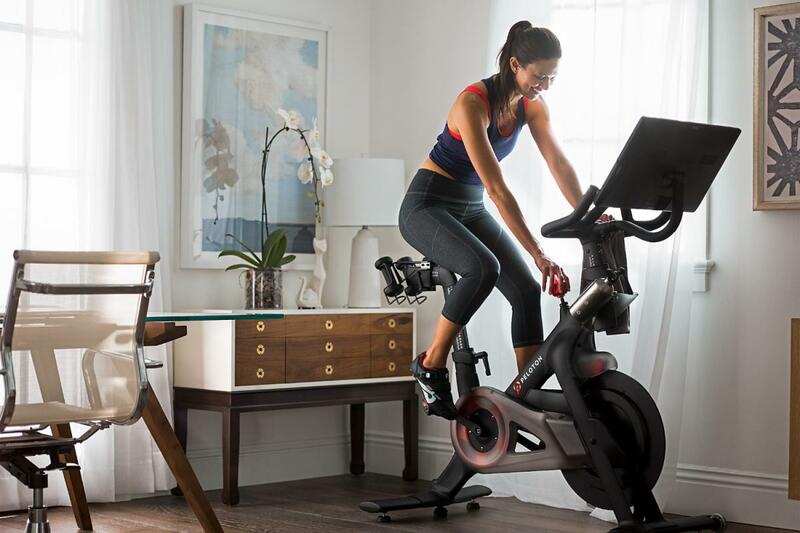 Cardio-holics, cycling enthusiasts or anyone seeking an intense, aerobically challenging workout that they can do in the convenience, comfort and privacy of their own home could be a good candidate for a Peloton bike. The TV commercials build a compelling case. A rider, dripping with sweat energetically and enthusiastically follows along with a class that is conducted live elsewhere, while being broadcast in real time on a bike-mounted screen. Soon these bikes can be tried and taken for a ride locally. Tampa is set to welcome its own Peloton showroom when the brand’s latest location opens at International Plaza. No details of the opening date, grand opening or exact location within the dual-level shopping complex have been announced but the store is currently staffing up so it can’t be much longer. The Tampa showroom marks the third in Florida, joining existing sites in South Florida’s Aventura and Boca Raton. These showrooms allow visitors to test ride bikes with the assistance of one-on-one tutorials and ask questions about the Peloton equipment and experience. International Plaza seems an ideal fit for this fitness craze. There Peloton will join such upscale brands as Tiffany and Apple, active apparel shops such as Fabletics and lululemon athletica and sports and lifestyle specialty retailers Champs and Fit2Run. There’s even a Lifetime Athletic Club facility occupying a large space on the ground level. Like-minded merchants and fitness fanatics gathered together in the same spot would seem to make for mutually beneficial neighbors. Founded in 2012, Peloton brought together top talent in its Silicon Valley headquarters to create a new concept of fitness that would consistently fit anyone’s schedule and maintain a level of intensity that can be tough to match and maintain when working out individually. They created a world-class indoor cycling studio experience that allows riders to participate at their designated time and preferred place. Technology bridged the gap between group exercise classes and a workout for one by broadcasting live and taped classes through the stationary bike's handlebar level screens. In 2015, Men’s Health declared Peloton the “Best Cardio Machine.” Riders can choose to view classes on a 21 1/2 inch screen that streams live classes led by expert instructors, including pro cyclists, to your home or select one from a prerecorded library for a virtual ride, according to the author. A basic package retails for $2,245 and includes a bike, one year warranty, delivery and set up. A family package is $2,644 and includes the basics plus two pairs of cycling shoes, a pair of weights, two headphones, heart rate monitors and water bottles plus a bike mat. Want to enjoy other great retail experiences available in the Tampa Bay area? Simply register at 813area or 727area. It's easy and free!